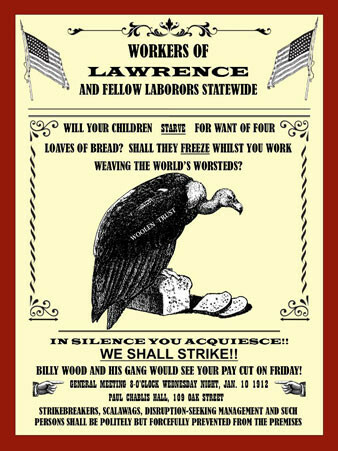 Our thanks to University of Massachusetts Lowell professors Robert Forrant (history) and Mignon Duffy (sociology) for sharing samples of the Bread and Roses strike posters created by their students and a brief description of the class project. 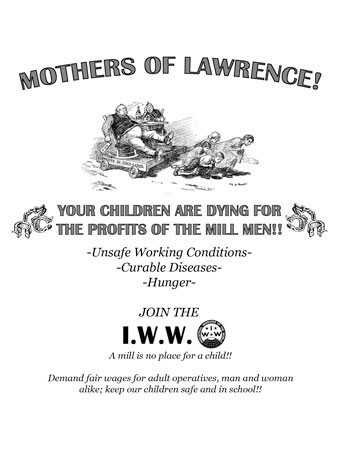 Sociology, history, gender studies, political science classes, and the freshman honors program at the University of Massachusetts Lowell spent several weeks learning about the 1912 Lawrence, Mass., textile strike. Because the strike took place just 10 miles from campus, it offered a wonderful opportunity to visit the places where this event occurred and to carefully consider what happened there between January and March 1912. 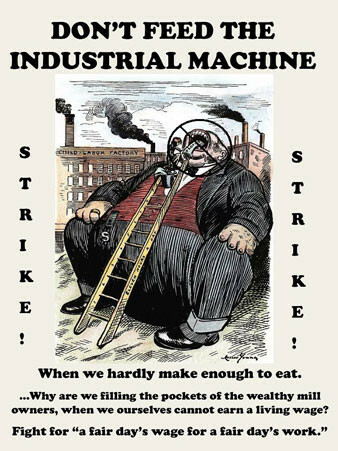 Critical to this was the question: Why did thousands of workers risk everything the way they did? 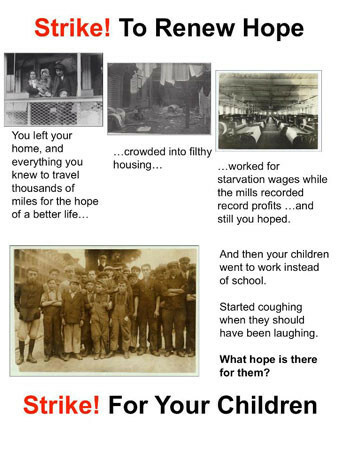 Students learned about the lives and working conditions of mill workers and their families around the turn of the century. 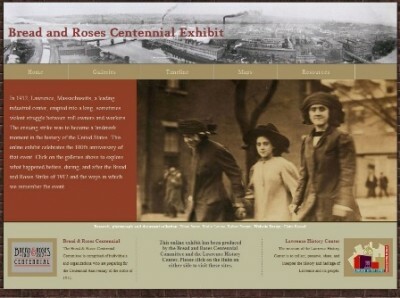 They read Ardis Cameron’s book Radicals of the Worst Sort: Laboring Women in Lawrence, Massachusetts, 1860-1912 and they consulted the Bread and Roses Centennial virtual history exhibit about the strike. 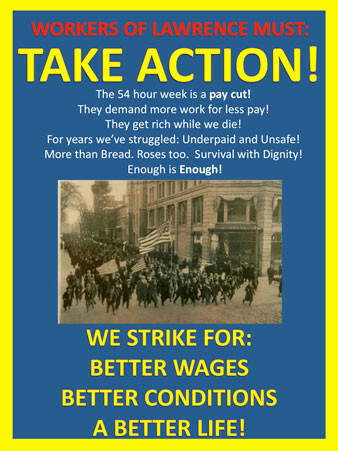 They found hundreds of images from the strike on the Bread and Roses Facebook page and lessons/readings on the Zinn Education Project website. 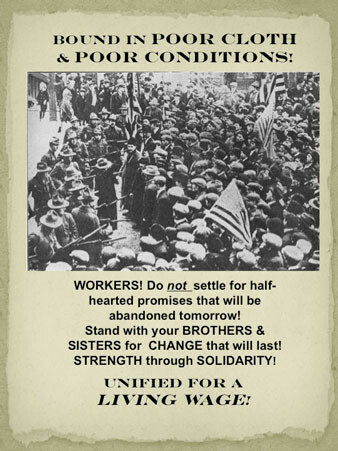 Then, by themselves, or with a small group of classmates, they designed a poster based on their study of the Bread and Roses strike, with the goal of persuading people to join the walkout. 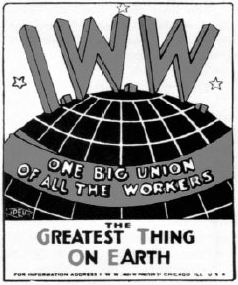 They were asked to choose a target audience for their poster—e.g., women, men, a certain ethnic group, a certain type of workers—so that they could tailor the poster’s message. 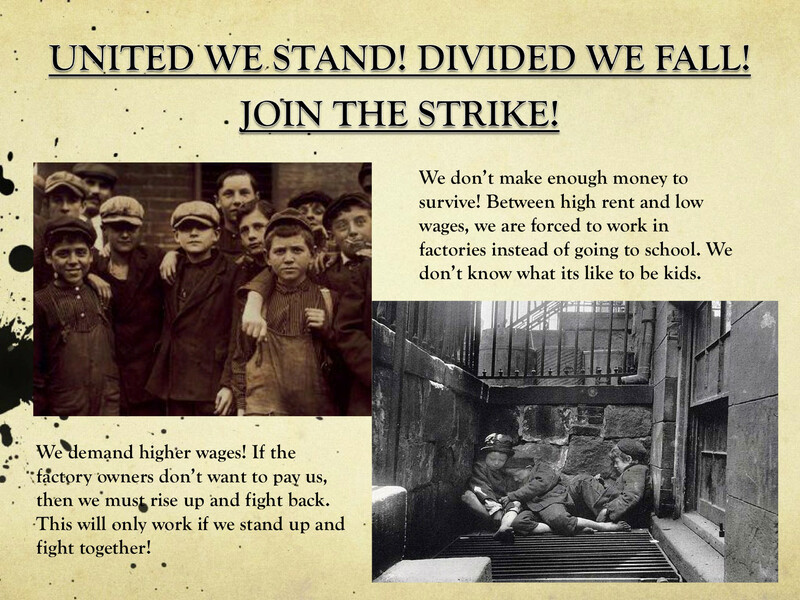 Use images and text to make a visually appealing 18″ x 24″ poster. 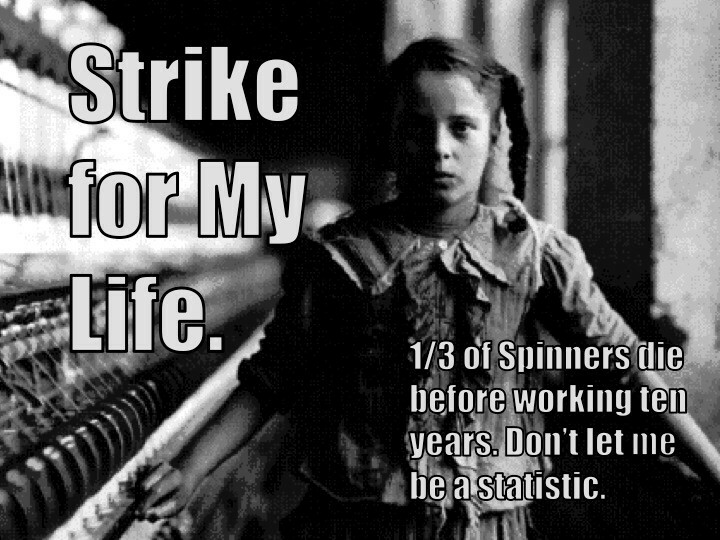 Remember you are asking your neighbors to do a very brave and risky thing! 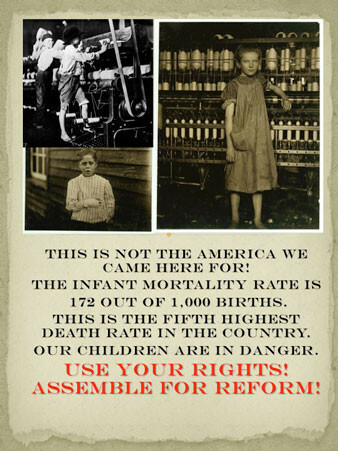 Use all of your resources to craft a message that contains solid reasoning and is based on facts and statistics. 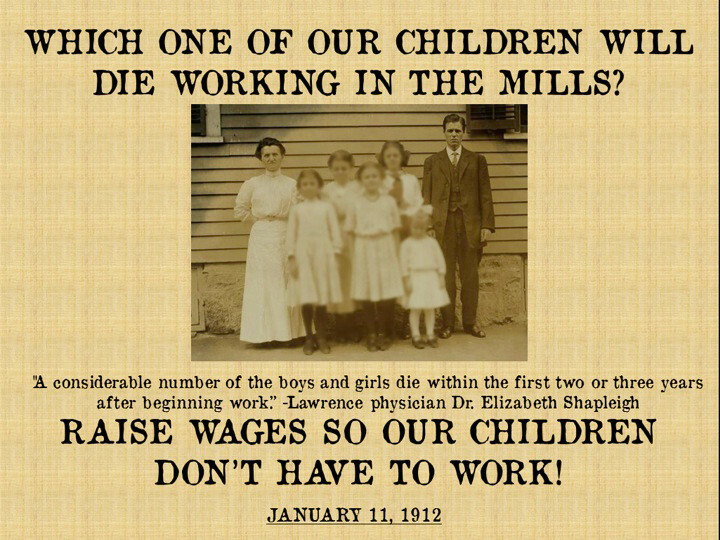 Think about what you know about mill workers’ lives and the lives of their families and make sure your message has a strong emotional appeal to what matters to them. 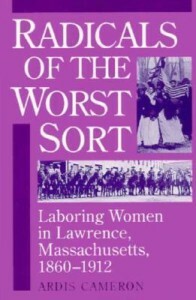 More than 80 posters were produced and placed on display for a week at the UMass Lowell O’Leary Library. 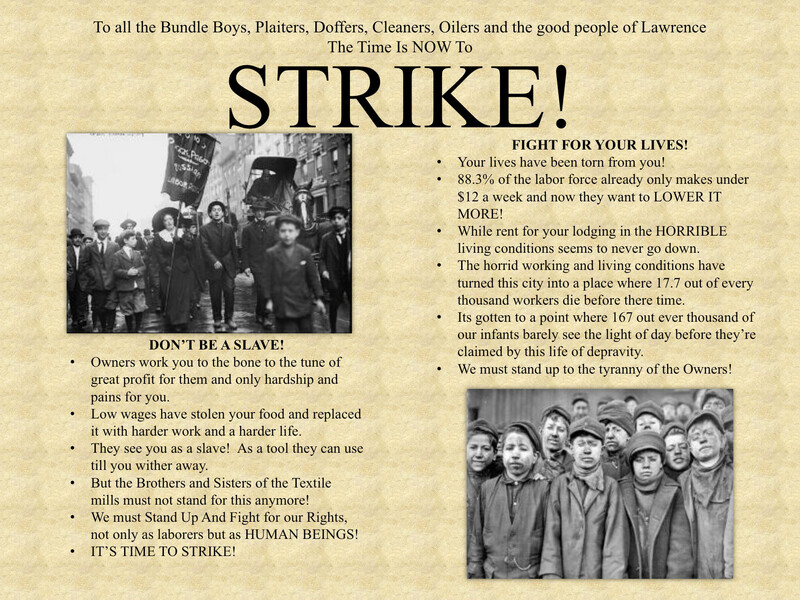 Plans are under way to display the posters in the city of Lawrence in early 2013.